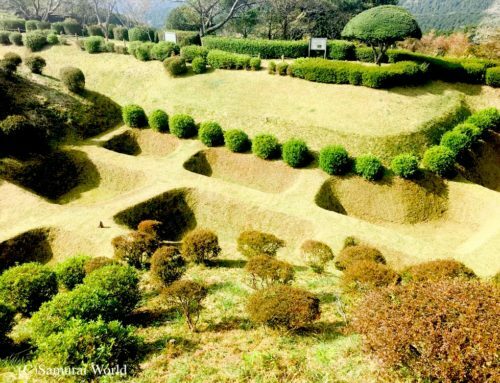 Iwamura Castle is considered one of Japan’s Best Three Yamajiro, mountaintop castles, and was once under the command of a warrior woman. Built atop a 717m high peak as protection for the south-eastern areas of Mino Province, Iwamura Castle, also known as Kirigajo, (Castle of the Mist) located above the township of Iwamura, (Ena District, Gifu Prefecture) was first established around 1185 by a retainer of Minamoto no Yoritomo, Kato Kagekado, whose descendants, the Toyama clan, ruled the castle from the 13th to 16th centuries. The last of the Toyama lords, Toyama Kageto, would ally himself with Oda Nobunaga. 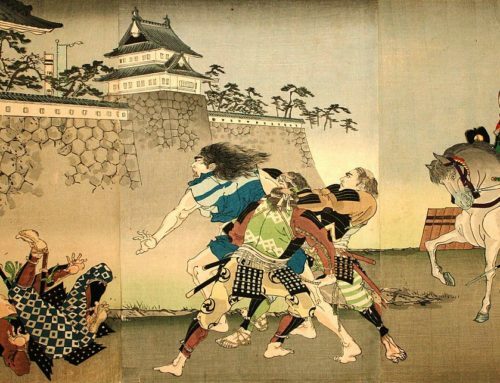 Takeda Shingen attacked and took Iwamura Castle in 1572, as part of his expansionist program, and entrusted it to Akiyama Nobutomo, one of the famed 24 Generals of Takeda and known as “The Raging Bull of the Takeda Clan”. 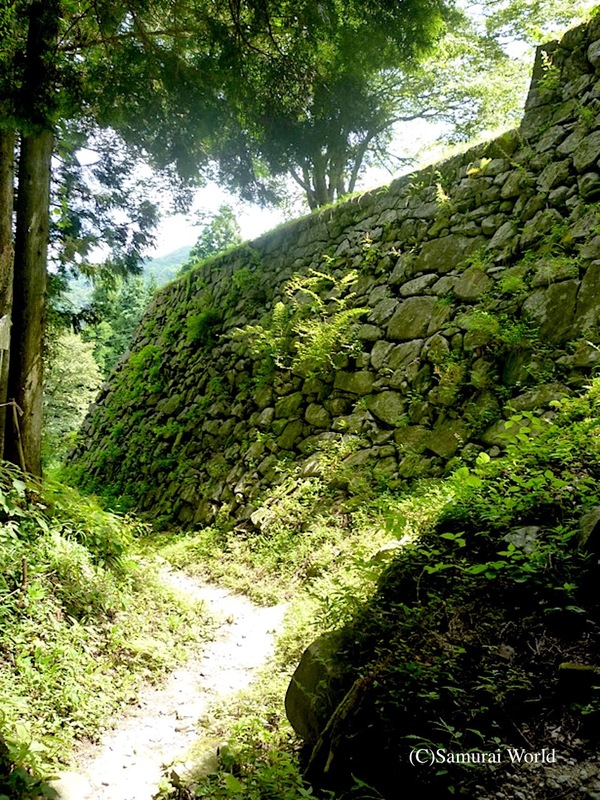 In 1547 at the age of just 16 during the battle for the Ina district in modern day Nagano Prefecture, Nobutomo distinguished himself and as a result, was awarded the northern parts of the area including Takato and Iida Castles as a fief. Being one of the 24 generals of Takeda Shingen meant Nobutomo was forefront in many of his battles. 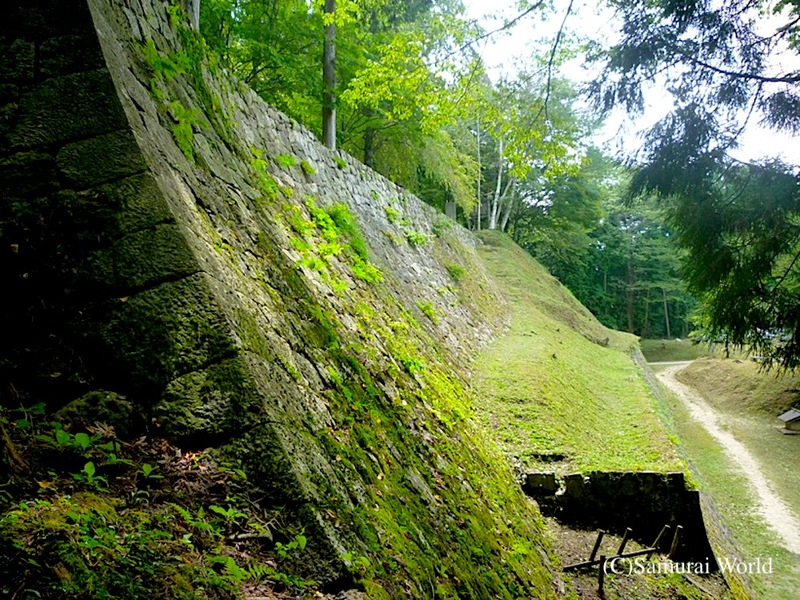 The Siege of Iwamura in 1572 was one such battle. 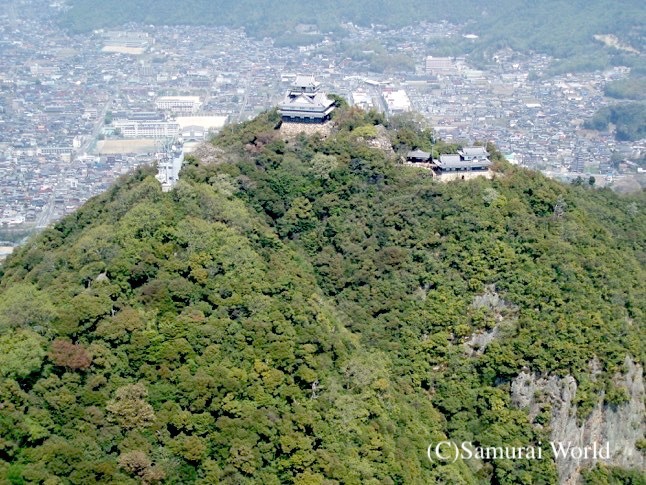 Takeda Shingen had set his sights on Totomi (western Shizuoka Prefecture) and Nobutomo had noted that the superb mountain top castle of Iwamura was of great strategic importance. 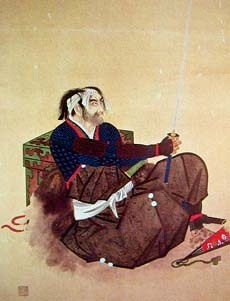 During the attack, the castle’s commander Toyama Kageto, fell ill and died. 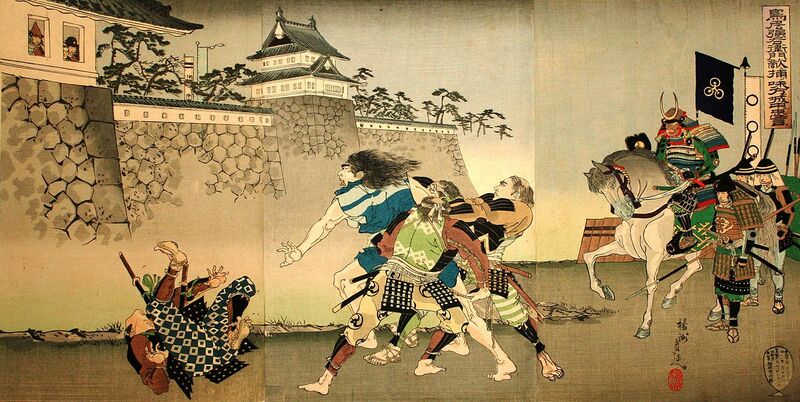 Nobutomo negotiated the castle’s surrender with Toyama’s widow, Lady Otsuya and the castle was taken without bloodshed. 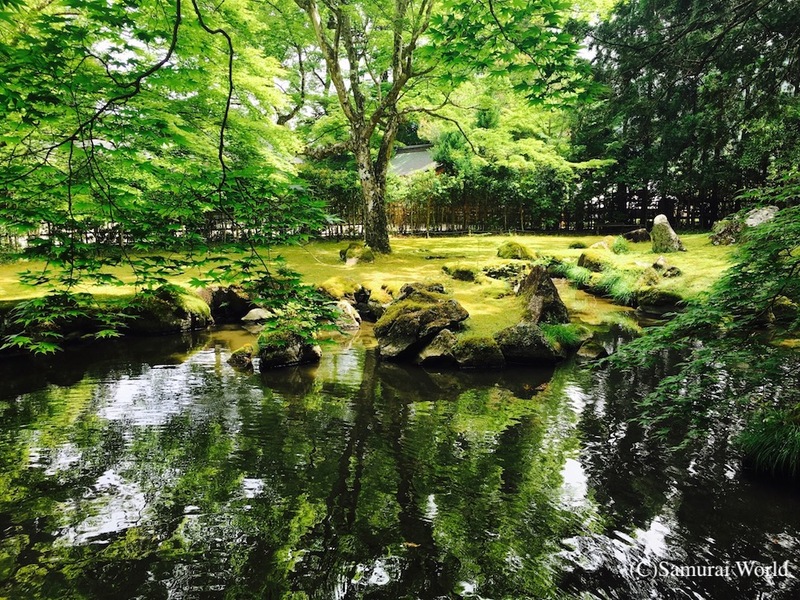 To preserve peace, Lady Otsuya married Akiyama Nobutomo, and sent her four-year-old son, Gobomaru as a hostage to the Takeda. The child, Gobomaru was not her true son, but an adopted child. 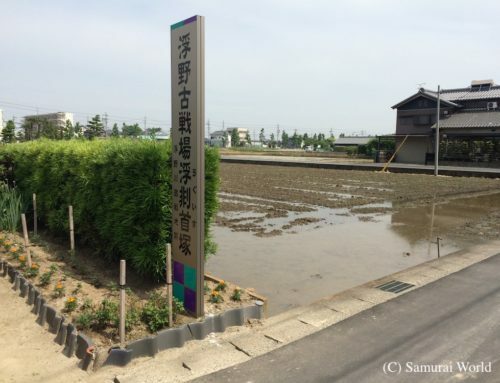 Gobomaru was in fact Oda Nobunaga’s fifth biological son, and Lady Otsuya herself was Nobunaga’s aunt. 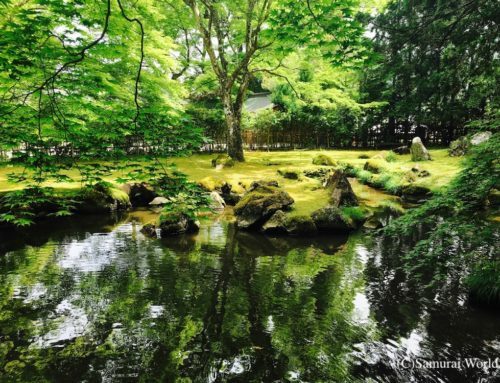 When Takeda Shingen died in 1573, Nobutomo supported Shingen’s son, Takeda Katsuyori, until Katsuyori’s loss in the Battle of Nagashino against the Oda Nobunaga, which left Nobutomo without military support. 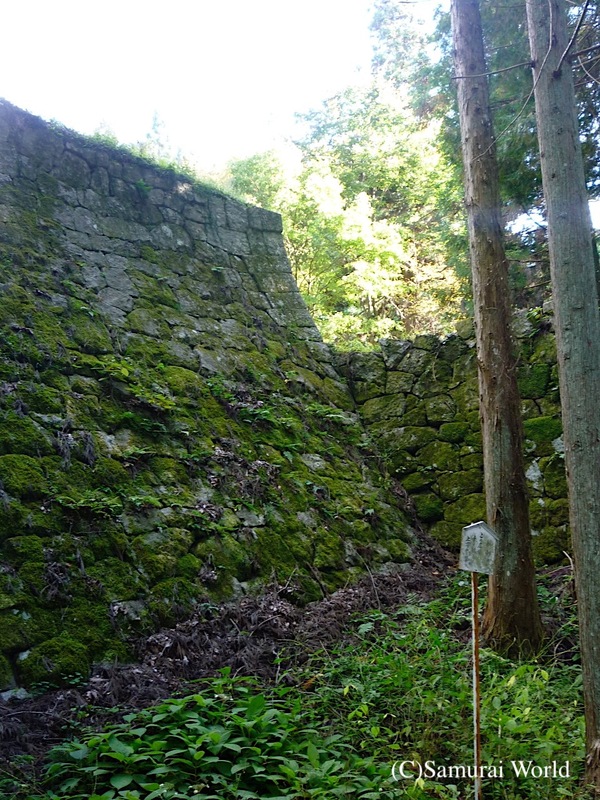 Once back in Oda hands, Iwamura Castle was commanded by Toyotomi Hideyoshi, who left the castle in the control of his retainer, Tamaru Tomotada. From 1600, following the Battle of Sekigahara, Iwamura Castle was controlled by the Tokugawa under the Ogyu clan (1601-1638) the Niwa (1638-1702) and until the end of the Edo period by the Ishikawa clan. 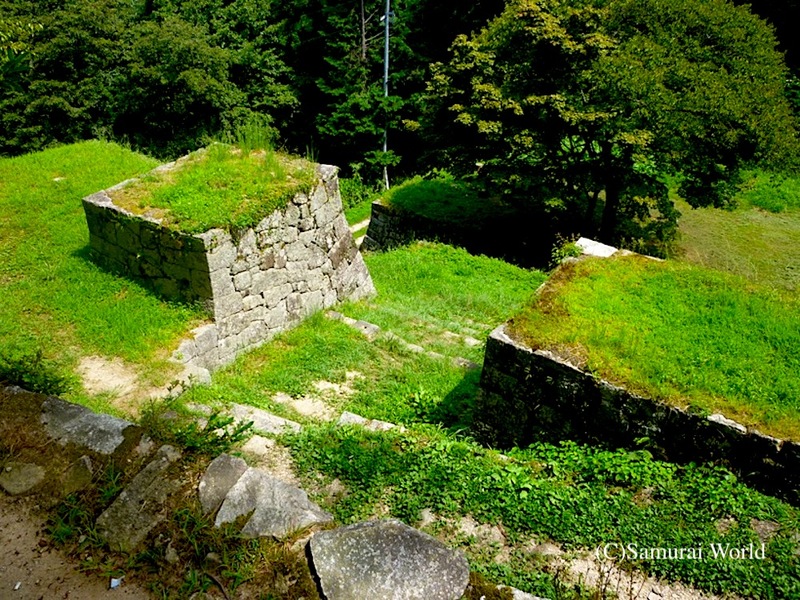 Iwamura Castle, like most castles across Japan, was demolished in 1873 when Japan abolished feudalism. 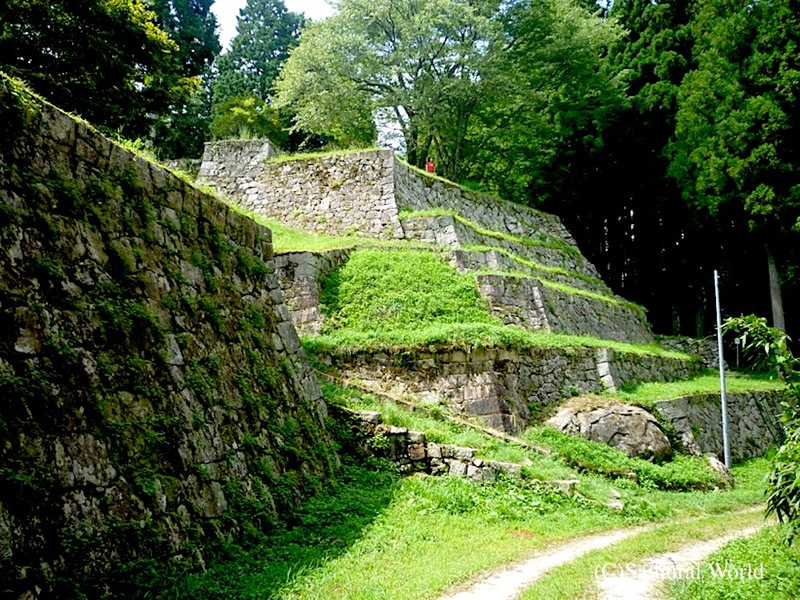 Machu Picchu-like Iwamura is a difficult castle to visit, being about 2 hours by train or car from Nagoya. Today, a small museum provides visitors with a glimpse of the past and a fine georama showing what the castle once looked like. 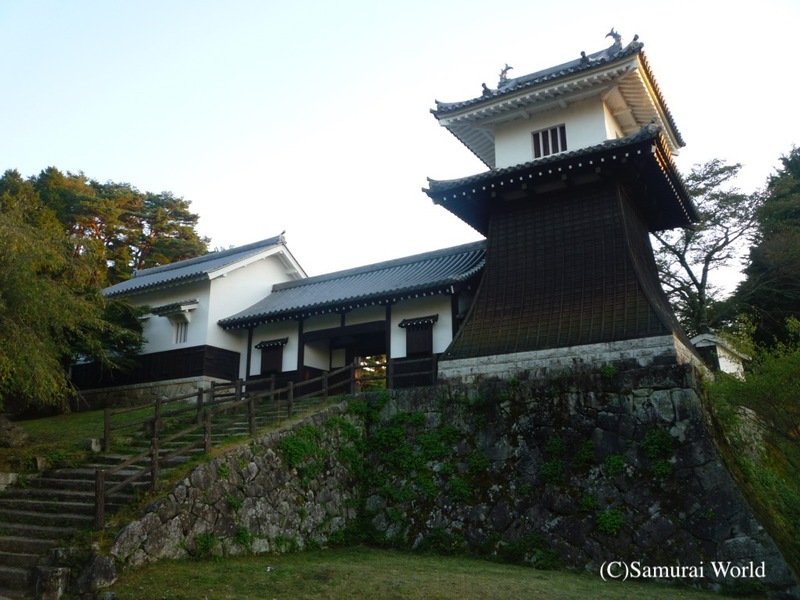 Some former samurai homes are open to the public along the main street of the castle town below the mountain. 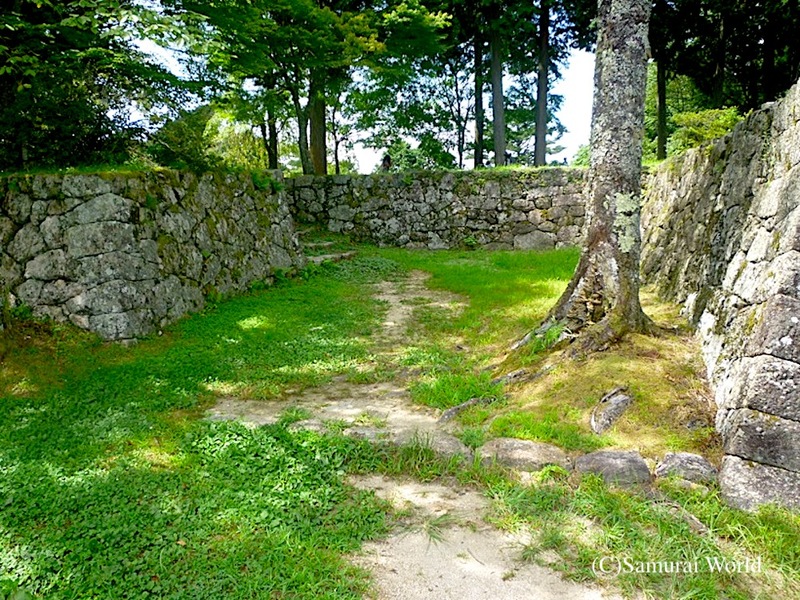 The reconstructed drum tower turret and gates of the Iwamura Domain’s Hanko, samurai school, and the magnificent stone walls are all that remain. 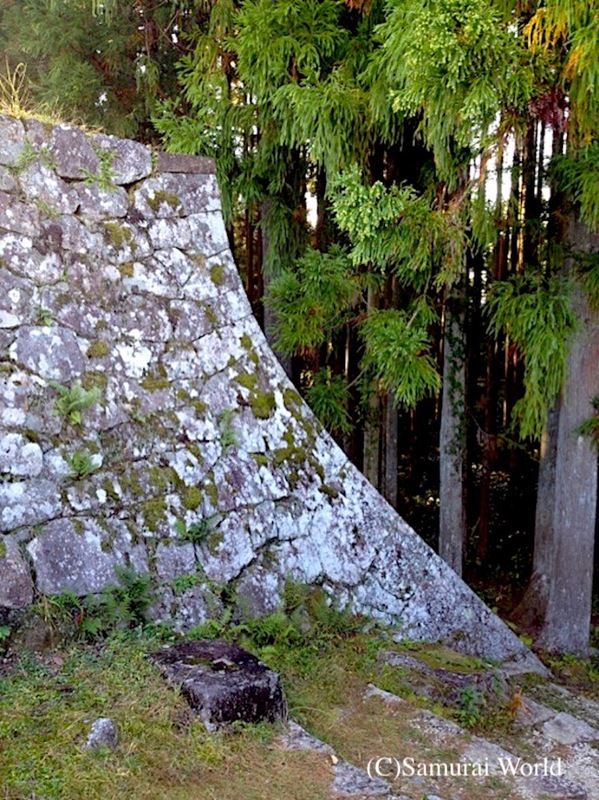 Even then, one can only marvel at these sturdy stone walls. Each rock having been brought up the mountain by hand, and so carefully fitted together without use of modern day trucks, cranes or cutting equipment, leaving us to imagine the scale and grandeur of this fine mountain top castle.